This holiday season you can celebrate with the original fashionista Minnie Mouse, and her friends during a merry meal at Hollywood & Vine at Disney’s Hollywood Studios. Minnie’s Holiday Dine and Hollywood & Vine dinner, will be available on select nights November 7, 2015 to January 3, 2016. As fabulous as a holiday dinner with Minnie Mouse would be, she won’t be alone, Mickey, Donald, and Daisy will be joining in on the festivities, but wait… there’s more! 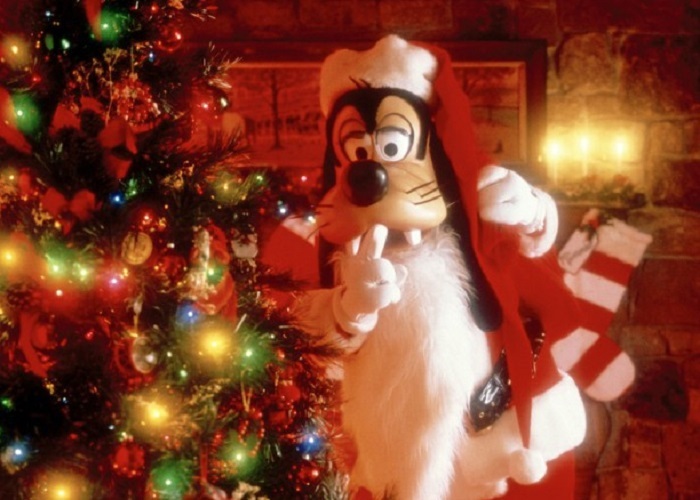 Santa Goofy will also be dropping in to make this a jolly holly meal to remember! Prepare to be delighted with holiday decorations, hearty seasonal favorites, music, and even activities to deck the halls with family and friends, Minnie Mouse style! And if you still want to check out the Disney Junior Play ‘n Dine, it will still take place during breakfast and lunch. Minnie’s Holiday Dine at Hollywood & Vine Dinner is $46.00 for adults, and $27.99 for children and is included on the Disney Dining Plan as one table-service credit. You can even enjoy reserved seating at Fantasmic! when you book Minnie’s Holiday Dine at Hollywood & Vine Dinner as part of a Fantasmic! Dining Package. The Fantasmic! Dining package is $52.99 for Adults and $31.00 for children, plus tax and gratuity. Reservations for Minnie’s Holiday Dine at Hollywood & Vine are now available and can be booked through 407-WDW-DINE or online at disneyworld.com/dine. You can also talk to your favorite travel professional for help reserving one of these amazing character meals! My name is Danielle Laroff. I am a Disney Specialist for the Disney Fashionista, and Chip and Company. I am also a TravelAgent with World of Magic Travel, the preferred agency used by Chip and the Disney Addicts. To help plan your next Jolly Holly Getaway, email me today at [email protected]! You can also visit my Facebookpage, click here for more updates as well as lots of pictures and updates of the Parks and resorts. New MagicBands And Accessories Coming this Month!